After briefly eluding Yassir Ali’s ruthless assassins in England, Nick, Marie, and Ishi have fled north, where they hope to track down a forgotten cavern in the Highlands of Scotland. The cavern is linked to the Ambrosius Amulet, and is said to contain the greatest treasure of gold, jewels, and other artifacts ever amassed by the ancient druids…. Finding this sacred place won’t be easy—especially when those trying to kill the forlorn trio are hot on the trail again. Meanwhile, Nick and his cohorts’ search is limited to details from a conversation Marie had with her father prior to his murder a year earlier. 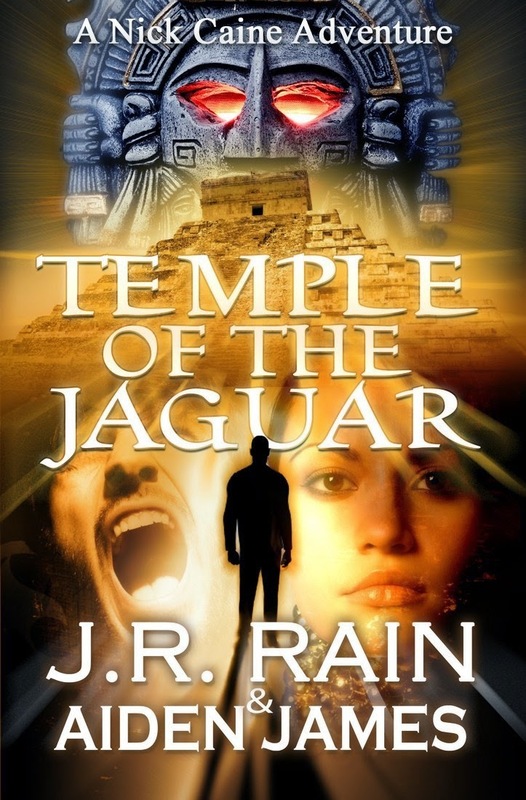 His last wish was for her to complete the task he couldn’t, and was the main reason Marie hired Nick as her archeologist guide: to first find the Temple of the Jaguar in the Honduran jungles, and then eventually move on to the United Kingdom to complete Daddy’s failed quest. Now, after being chased relentlessly through Europe by Yassir Ali’s hit men, they finally possess the key to finding the druid treasure. Yet, the Ambrosius Amulet can only tell them when they have found the right location. The task of locating the correct ‘marked’ Scottish hillside must be handled on their own, using natural means. 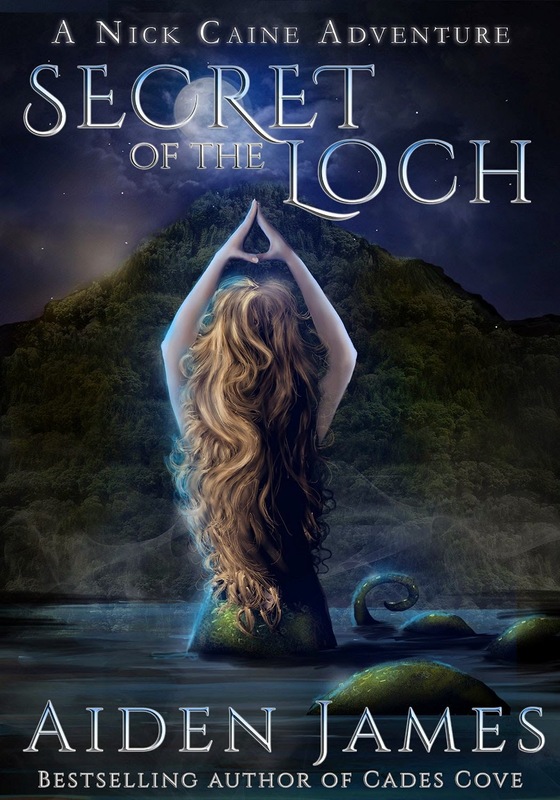 Relying on Marie’s memory of landmarks and coordinates given by her father, the task of searching Loch Ness, Loch Lomond, and Loch Morar quickly becomes a hazardous affair. Will one of these famed locations prove to be home to this fabled treasure of the early Brits? Or, will this be one myth that can’t be solved, either by fate or bullets from a ruthless enemy closing in? These questions, and more, are waiting to be answered in the Secret of the Loch…. Just when Nick and Ishi think that they can finally leave and go to America Marie springs another one on them. Now that they have the Ambrosius Amulet she wants to find the forgotten Cavern in Scotland. Their enemies are still after them and if the three of them stay in Europe they are going to succeed in killing them. But now Marie says she has to find this for her father before she "takes the amulet to the museum." According to Marie they have to visit three Loch's and the amulet will show them the way at one of them. But things are not going to be easy for them when they do find the right Loch because the Loch holds many secrets. Secrets that can be the best and worst things to ever happen to Nick. This is another 5 star read to me. The Nick Caine Series is one of my favorites and I have never been disappointed. There is danger as Nick and Crew are still being chased by Yassir's men and now they have another group of people chasing after them too. The Loch holds dangerous secrets. 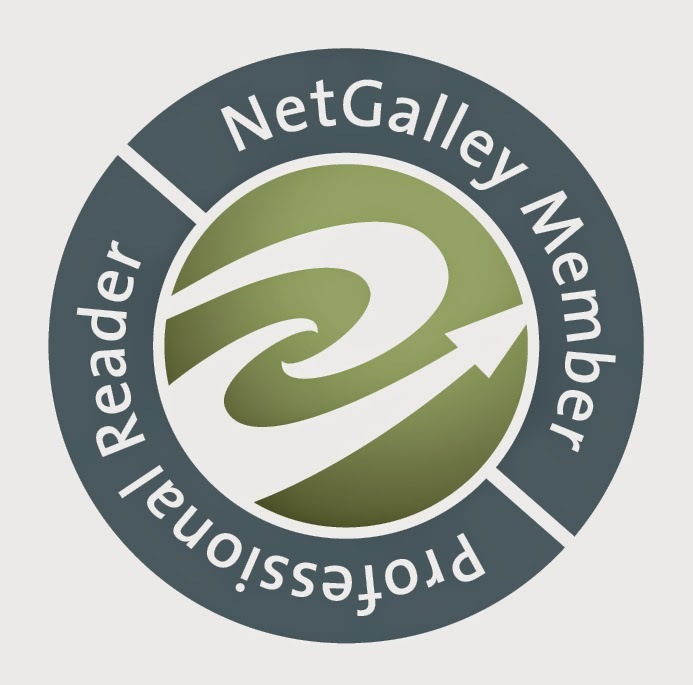 Aiden James always takes you on a thrilling adventure with each new Nick Caine Adventure. My only issue is with Marie. I started to really dislike her in book 4 and my dislike for this character has just grown with this book. In my Opinion she treats Nick like crap and it disappoints me that Nick who could do better takes it. It is definitely just a case of dislike of a character in my case and is nothing negative about the book in general. 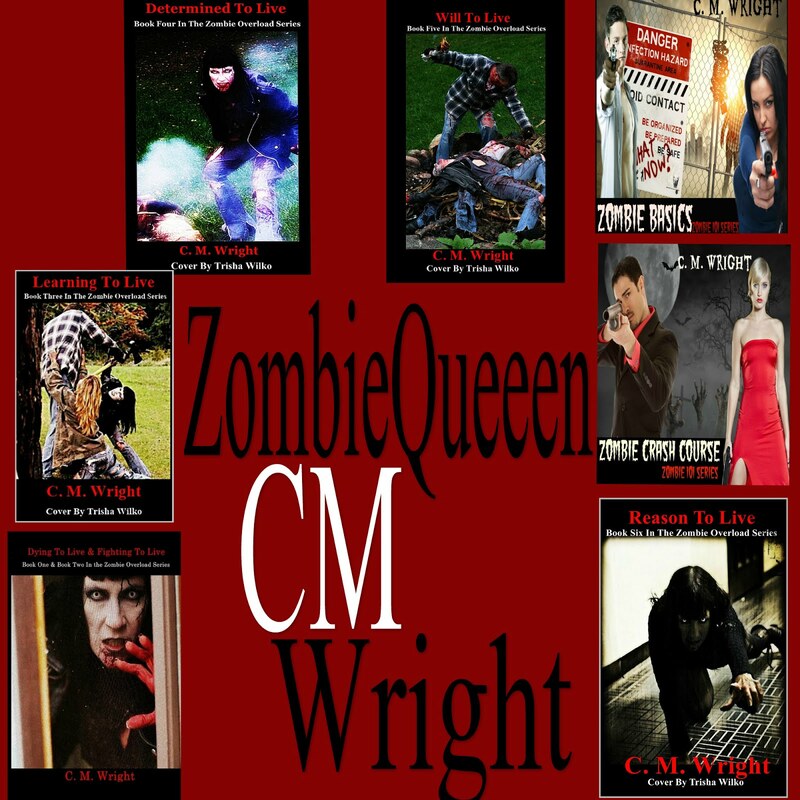 I would definitely recommend reading however you do need to read the first 4 books first! According to legend, the Ambrosius Amulet lays hidden amid the ruins of a predecessor to the inner circle of Stonehenge, known as Bluehenge. Located a mile south of its more famous brother, the remains of Bluehenge sit near the winding course of the River Avon. As luck would have it, a map leading to this sacred amulet has fallen into the hands of Nick Caine. Belonging to Nick’s lovely cohort, Marie Da Vinci, her deceased father entrusted the map to her shortly before he died. His final wish was to lay claim to the priceless relic he spent much of his life looking for. His dream—and now Marie’s quest—is for her to locate and procure it for a prestigious museum in Los Angeles. But there is a problem. Nick and Ishi want to forego the expedition and leave Europe for the United States. Yassir Ali has issued a death warrant for all three, after they decided not to share the gold recovered from Sekhmet’s tomb in Egypt. After being chased across Europe by hired assassins, Nick feels they have already outlasted their welcome, and the reprieve they’ve gained in England will only last so long. In the end, the lure of finding this rare amulet—one long believed to be merely mythical—proves impossible to resist. As Yassir Ali’s men close in for the kill, Nick, Marie, and Ishi soon learn whether tempting fate to pursue a cursed item is worth it. Or, should they have left the Ambrosius Amulet alone? 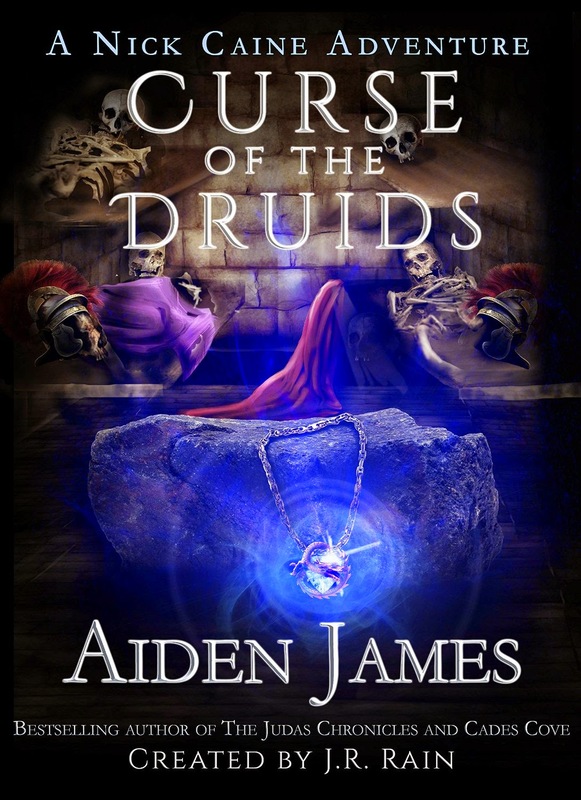 Another great book in the Nick Caine Series by Author Aiden James. We are back with Nick, Marie and Ishi for another dangerous and thrilling adventure. Nick and Ishi are ready to leave Europe and go home. Their enemies are still hot on their trail and they are not sure how much longer their luck will hold out. But Marie is on a mission to complete her fathers last wishes. Even at the risk of their lives. Their next adventure involves them finding a sacred amulet called the Ambrosius Amulet and procure it for a certain museum. But as usual when it comes to Marie she never tells the guys all of the details and leaves things out until the last minute. I am always ready to read a Nick Caine Adventure. I absolutely adore Nick and Ishi. I am kind of in the air about Marie. It really kinda comes off as she is just using Nick to me. But it could just be the characters personality. Even with my misgivings about the only female in the group I think that it was a great book! Nick and Crew are always on a daring and dangerous mission and it keeps you on the edge of your seat waiting to see if their enemies sill catch up with him or if they will live to see another day. This was definitely a 5 star read for me. This is book 4 in the series. It is my opinion that these book cannot be read as stand alones. I think that you will be very lost if you do not start at book 1. I definitely recommend reading. Legends say the gold belongs to the famed goddess, Sekhmet. But a map belonging to Nick Caine says otherwise...at least to Nick. He has returned to Egypt to claim the treasure, along with Ishi, Marie Da Vinci, and an old friend of her father’s, Akiiki Mubarek. Twelve long and painful years have passed since the last time Nick ventured into the unforgiving landscape—a trip that cost a college buddy who once owned the map his life soon after they began digging in the desert. Forced to witness his friend’s execution, he vowed never to come back...until now. 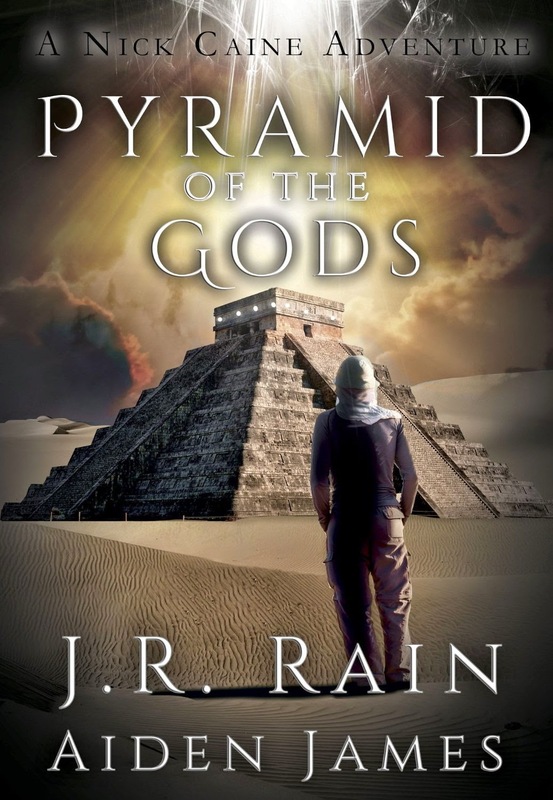 The four treasure-hopefuls journey to the deadly wasteland just north of Sudan, and fortune seems to smile when they uncover one of Egypt’s last buried pyramids. But a band of violent marauders from Sudan descend on the site, threatening to not only claim the gold for themselves, but to spill innocent blood in the process. Nick, Marie and Ishi are at it again. This time they are in Egypt to complete a dig that Nick first started with his best friend Mario before Maries Uncle had murdered him. Nick hopes that not only will he find the gold that is supposed to surpass anything they have found so far but that he will also be able to put his demons to rest concerning Mario and move on with his life without nightmares. This time they are joined by someone Marie knows through her father. Akiiki. Not long after they get there Nick feels that the spot they originally tried to dig at was not the right spot so he wanted to look elsewhere. When they finally camp out at the spot that Nick feels is right Akiiki gives them the warning that the pyramid they are looking for may belong to Sekmet and that if it is then what they had went through before was nothing. That night after Nick goes to sleep he has a very realistic dream about his father. More of a premonition of things to come. Right after they find a door and gold they are attacked and taken prisoner by bandits once again. This ones leaders name is Motumbo. He is probably the most ruthless out of all the ones they have dealt with so far. He is very angry because all the gold Nick says they found is all of a sudden gone. There is an assumed casualty on Nicks end but all is not as it seems... Nick of course is his attitude laden self. Once again it will take some quick thinking on Nicks part along with some unexpected help to get them out of the dire situation that they find themselves in. Nick Caine is a part-time archaeologist and full-time antiquities thief—a looter. And a very good one, too. Now stranded on a small, forgotten island in the southern Maldives, Nick Caine and his ever-faithful sidekick Ishi are thrown into a desperate fight for survival. Seemingly betrayed by Marie Da Vinci, Nick is forced to gamble his and Ishi’s very existence on an ancient map. The parchment document promises an incredible horde of hidden pirate treasure. The very words are music to a looter's ears—except the duo aren't the only ones interested in the hidden treasure. Modern day pirates are on the scene, and it's going to take all of Nick Caine’s unflappable charisma to bail them out this time. The stakes quickly escalate, leaving Nick and Ishi very little time to narrow down the map’s clues. Soon, their fate and that of an exotic Maldivian beauty named Norema hang in a precarious balance…proving once again that looting is a deadly business. In this books Nick, Marie, and Ishi have traveled to the Maldives to search for hidden treasure. Although when Nick and Ishi wake up the morning after they arrived Marie was gone. She had taken their plane and left. At least she left them with a weeks worth of supplies. Next thing they know, Nick and Ishi are held at gunpoint by women dressed in Indian clothes. After these women take Nick and Ishi back to their camp at gunpoint they meet Norema. A beautiful woman who reminds nick of Marie. Nick learns that there are Pirates that rule the island and by landing on the island they had basically signed their death warrant. Nick eventually makes a deal with Norema. If he helps her get her son back from the pirate Badri, who had taken the women's sons and made them his slaves. 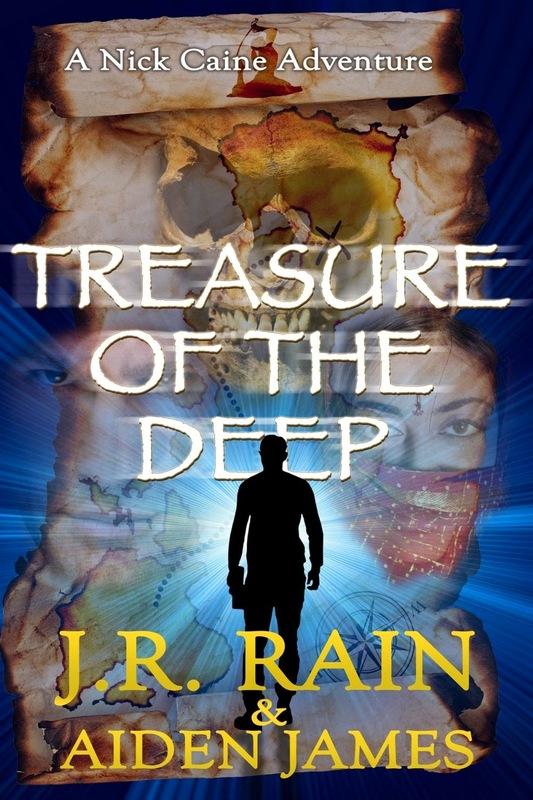 Once they get to the cave where Badri and his band of pirates lived they thought they found the jackpot of treasure. They find Norema's son but with some terrible loses involved. Their reunion results in them being chased by Badri's pirates and they eventually get caught. It once again takes Smarts and some quick thinking and Amazing leadership from Nick for them to get away. With Norema and the others now gone Nick and Ishi are once again on the run from Badri and his pirates. After a showdown in the cave of treasures between Nick and Badri, Marie of all people shows up to save the day. Nick Caine is a part-time archaeologist and full-time antiquities thief—a looter. And a very good one, too. So good that he catches the attention of the beautiful Marie Da Vinci, who offers him the chance of a lifetime: to locate the legendary Ciudad Blanca. The lost White City. A city purportedly filled with riches beyond belief. I am a huge fan of both Aiden James and J.R. Rain, so to say that I was excited to read this book is being modest! Nick Caine is a Looter. He searches for and gets treasures and artifacts that are hard to find. He is also a Looter with a conscience and does not always charge for the things that he finds. One day he receives a message to meet with a Marie Da Vinci. So he bites and goes to meet her to see what she wants. Nick has sworn off women so imagine his shock at his attraction to Marie. Marie's father has been murdered and she wishes to continue with his work and get the treasure that he had found years ago in the legendary Ciudad Blanca. Unfortunately her Uncle is very untrustworthy and he is also after the treasure. Marie needs Nicks help. Nick reluctantly agrees. Something he soon starts to regret. Marie is headstrong and quick to snap. First attitude of the trip, when she found out that Nick's partner Ishi was coming along. Something she quickly got over. The way to the treasure is a treacherous one and Marie shows that she has a very reckless side in this quest. They come across at least three unimaginably horrible beasts that Nick has to battle. I LOVED this book! Two of my favorite authors in one book. You can't beat that.. I definitely recommend this book! 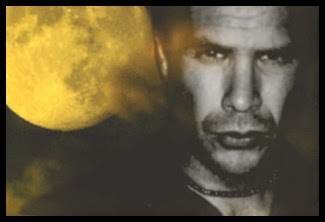 Aiden James is the bestselling author of Cades Cove, The Judas Chronicles, and the Nick Caine Adventures (with J.R. Rain). Aiden resides in Tennessee with his wife, Fiona, and their two sons, Christopher and Tyler. ABOUT THE AUTHOR: J.R. 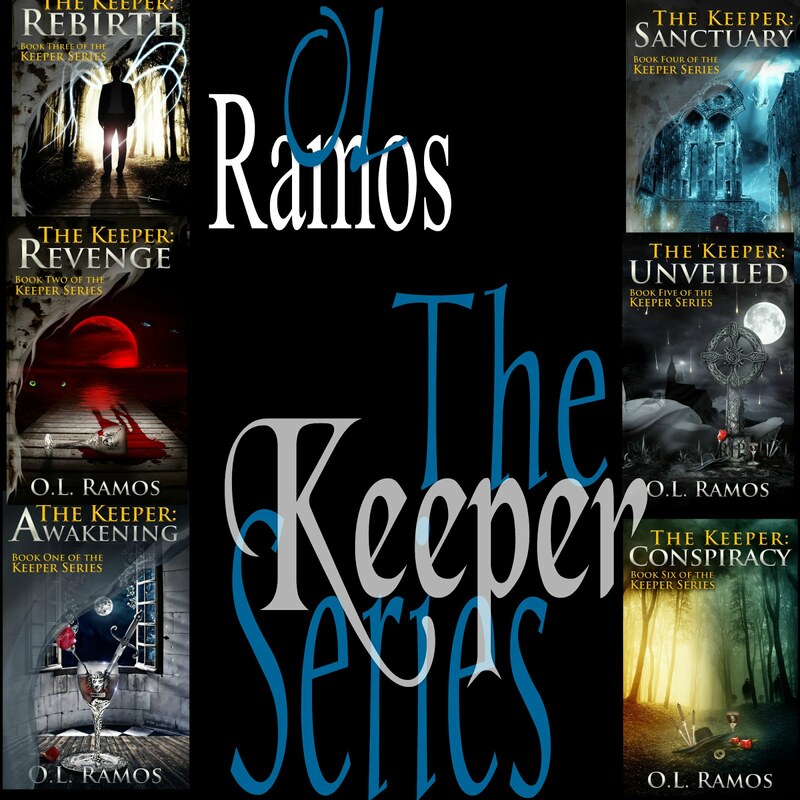 Rain is an ex-private investigator who now writes full-time in the Pacific Northwest. He lives in a small house on a small island with his small dog, Sadie. J.R. has sold over 2.5 million copies of his ebooks. Please visit him at www.jrrain.com.